Get ready to fight crime and evil as the incredible superhero family returns to the big screen! SM Cinema is inviting the whole family for a day of super powered fun at the Incredibles 2 Adventure at the event atrium of S’Maison at Conrad Manila. 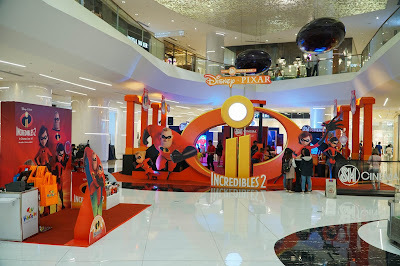 SM Cinema's child-friendly activity area features The Incredibles family and powers like Violet’s Force Field Booth, Dash’s Obstacle Dash, Elastigirl’s Trampoline Area and Mr. Incredible’s Logo Builder. Watch out for the return of your favorite superhero family! 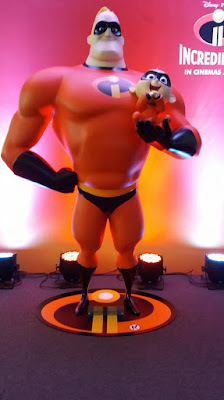 With Elastigirl in the spotlight saving the world, Bob is left at home with Violet, Dash and Jack-Jack to look after. Find out how he struggles with the changes and how he tackles Jack-Jack's turbulent superpowers as it starts to emerge. While the action scenes are built around Helen, the Incredibles family have to work together to defeat the dangerous plot of a new villain. Interactive booths and exciting activities await families in the Incredible Adventure where kids (and kids at heart!) can experience what it’s like to be a superhero! Collect balloons and win fun prizes in the Violet Force Field Booth and test your speed in Dash’s Timed Obstacle Dash. Feel the rush, jump and fly at Elastigirl’s Trampoline Area and show off your creativity with Mr. Incredible’s logo builder by Nutri-Asia’s Papa Catsup. Experience being incredible in these super activities coming your way at S’Maison on June 8 – 13, SM North EDSA on June 15 – 20, and SM Southmall on June 22 – 24. Walt Disney and Pixar's Incredibles 2 opens in cinemas starting June 14. 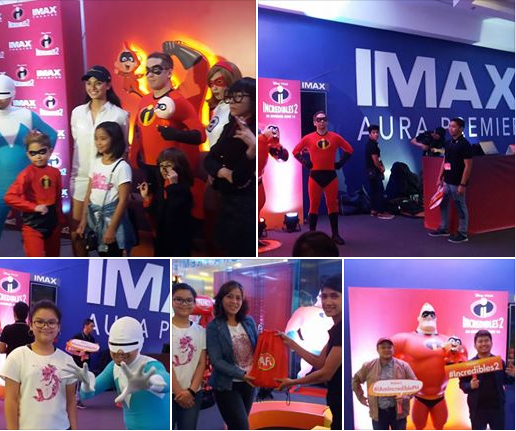 Catch Incredibles 2 with your family at IMAX, Director’s Club and SM Cinema to get a free movie seat for every paying adult this June 21 to 27 in SM Cinemas nationwide as a special treat for your superkids. Book your tickets now through www.smcinema.com or download the SM Cinema mobile app. Do follow /SMCinema on Facebook and @SM_Cinema on Instagram for updates.